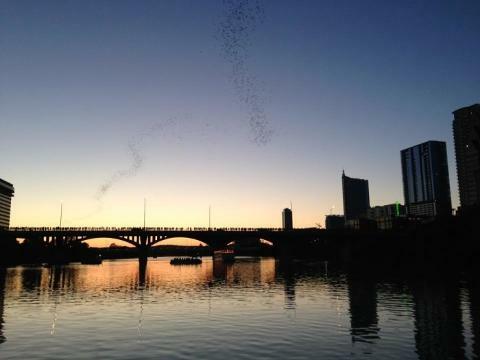 While most people just grab a spot on the bridge, there’s actually an even better way to watch the bats! Please join us for a Pride Week Sunset Cruise on Town Lake (or Lady Bird Lake as it’s now known). Enjoy great music, food, and cocktails aboard a fabulous boat with air conditioning, bathrooms, and a gorgeous roof deck. 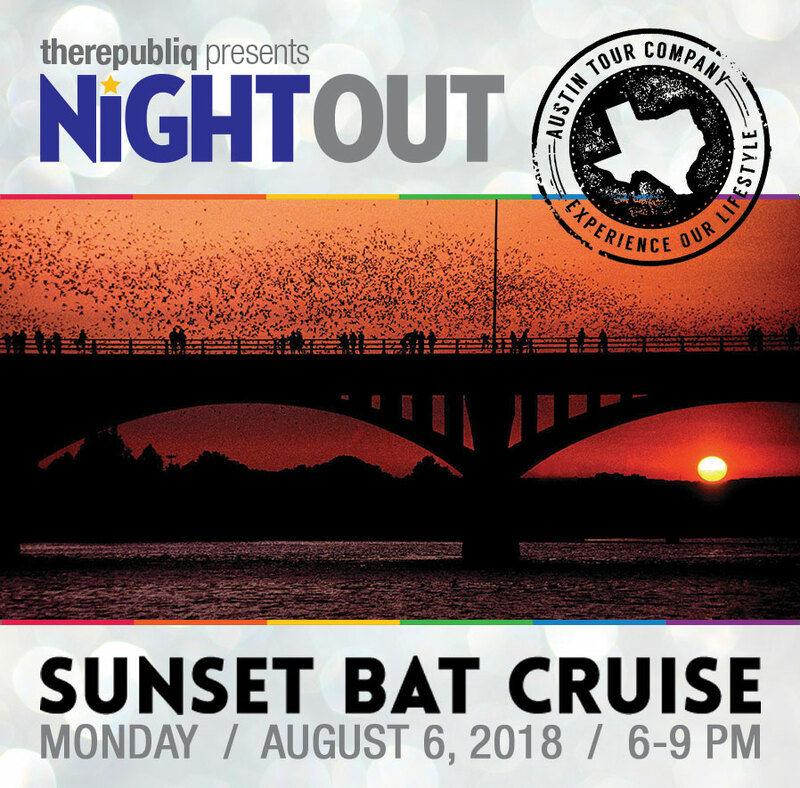 We’ll pause near the bridge (and turn the music down) at sunset to watch the bats and tell you a little bit about them! For your pre-cruise special we'll have a $5 local canned beer special at our check-in location: The Hyatt Regency Austin. Check-in will be at the The Hyatt Regency Austin (208 Barton Springs Rd, Austin, TX 78704) at the poolside bar, beginning at 6:00pm. Guests must check-in with the ATC guide at the Hyatt Regency Austin poolside bar. Guests may start boarding the boat at 6:45PM. The boat will leave the dock at 7PM and return at 9PM. VIA 313 Pizza on every cruise! If delicious cocktails and beer ain’t your thing, the boat is also BYOB. House DJ laying down the best beats around! All this for $35 per person! Follow us on social media @AustinTourCo for weekly updates on food and beverage partners!